Can you believe it has been a decade since the release of Final Fantasy XI? Zasalamel certainly remembers. 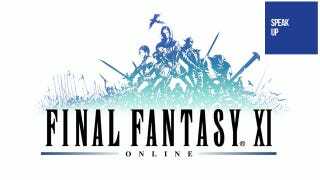 Today is Final Fantasy XI's tenth anniversary. I just wanted to take a moment to pay tribute to what is probably the game that has made the biggest impression on me in my lifetime. As a kid, the SNES Final Fantasy games were the greatest thing ever to me; maybe that's one of the reasons why I like FFXI so much. It feels like a SNES FF game, but one that you can play with friends and that seems never-ending. Unlike MMOs up to that point, FFXI actually featured a real story with cut-scenes. This wasn't just some weak story thrown at you as a bone either; I'd say that FFXI's story, particularly in Chains of Promathia and Wings of the Goddess, is the best story of any FF game. And all of the endgame activities such as Limbus, Dynamis, Besieged, Assault, Salvage, Einherjar and Abyssea actually tied in with the main storylines so not only were these activities amazingly fun but they felt like they made sense story wise compared to the generic endgame raids of most MMOs. The music is also some of the best of the series. Unlike with FFXIV where he was asked to do the whole soundtrack, which was probably too much of an undertaking to expect really high quality tracks from, Uematsu was able to focus on fewer tracks and really make them great. "Ronfaure" ( [www.youtube.com] )"Airship" ( [www.youtube.com] ) and "Recollection" ( [www.youtube.com] ) stand out to me. Also the "FFXI Opening Theme" ( [www.youtube.com] ) which was used in the game's amazing CG intro sequence. That being said most of the credit for FFXI's fantastic soundtrack must go to Naoshi Mizuta who thanks to this game has become one of my favorite composers. While he contributed so many memorable pieces, none stand out more to me than "The Sanctuary of Zi'tah" ( [www.youtube.com] ). It's one of my favorite musical pieces period. The game was also so innovative in terms of its design. It was the first MMO that allowed people from all over the world to play on the same servers regardless of location or platform. It was the first MMO to feature an Auto-Translate feature to help communicate with other people (mainly between Japanese and non-Japanese). The fact that the game was designed to be played with a controller to accommodate console players was also a welcome first. The macro system it employed was very avant-garde as well as it allowed to swap pieces of gear before attacks in order to maximize that attack. You were no longer limited to wearing the same gear all the time. You needed to have a full arsenal of varied gear to be at your best, no matter which job you played. Another innovative feature was its amazing job system where your character could switch jobs at will and you could level as many of them as you wanted. Other MMOs forced you to make a new character if you wanted to play a different class, often requiring you to do a number of quests over. Each job played so differently that it felt like you were playing a new game every time you decided to level a new job. Tanking on Ninja was a rush like no other I'd experienced in a game. It required a constant focus and concentration which determined if you were going to be a badass that never took a single hit or a scrub that would die in seconds. My favorite job though was Blue Mage. Going around the world collecting all the spells from monsters was an unforgettable experience and playing as a Blue Mage was equally rewarding. The battle system was also brilliant, as unlike most MMOs where combat is a big mess where you just frantically click on icons, the combat in FFXI was very calculated and strategic, requiring a balance of skill and timing. By timing special attacks and spells together, party members could create powerful Skillchains and Magic Bursts that sometimes were key to victory or at least dispatching foes quickly. But beyond all this what made FFXI special was its community, because unlike most MMOs the community in FFXI was just that. The game was designed with cooperation in mind rather than PvP and the game's original steep difficulty really required people to constantly work together and help each other. And people actually did it, there were days when I'd log on and only help other people do stuff and it honestly felt just as good as if I had achieved something for myself, maybe even better. The community was so mature and varied, almost none of the people playing fell into the MMO player stereotypes you often see on TV like in the World of Warcraft episode South Park and such. People from all over the world, all walks of life, all races, all religions, all coming together and half of them were actually female. It was all such an unforgettable experience. If you read some of the comments on those Youtube videos I posted when talking about the music you'll see that most people that played the game seriously feel the same way about it as I do; it was just that good. I just want to thank Square-Enix for making the game and supporting it the way they have during these ten years and for allowing me to meet so many great people, many of which I'm still in contact with years later.